Batman contains multitudes, the Caped Crusader’s adventures having unfolded in various iterations throughout comics, TV, film, video games, and, in one of its most influential iterations, animation. 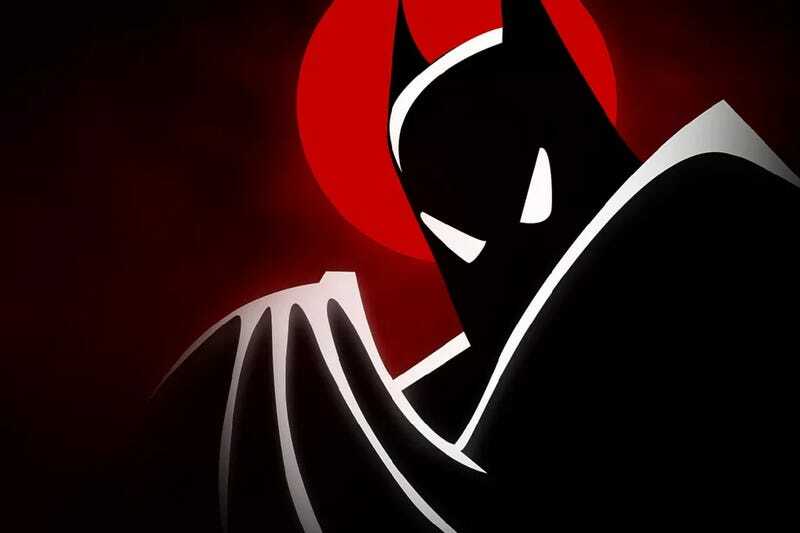 Throughout the ’90s, Batman: The Animated Series not only carried on the dark tone Tim Burton brought back to the superhero, but also introduced behind-the-scenes talent and onscreen characters that have become iconic and long-running additions to the franchise. One of those is Mark Hamill, the Luke Skywalker actor who found his artistic second coming voicing The Joker in the animated series and numerous other properties, including Rocksteady’s Arkham series of video games. Hell, he’s still resurrecting the voice; just this year, he recorded himself reading the tweets of our nutbag president in the voice of his Joker. Well, it almost never came to be. In a new oral history of the animated series for Vulture, the creators and Hamill himself outline both how circuitous the route was that led him to the role. Tim Curry was the series’ original Joker, after all, and Hamill himself guest-starred on an early episode as an entirely different character. Hamill nudged them about playing a larger role, so after Curry left they approached him about auditioning, a prospect that didn’t appeal to him. Mark Hamill: I got a call saying, “They want you to come in and audition for the Joker.” And I said, “Oh, gosh, that’s a little too high-profile for my liking. Not only has it been done with Cesar Romero, but it’s been done by Jack Nicholson. What can I bring to the table that hasn’t been done before?” I said, “I’d rather play Two-Face or Clayface or someone who hasn’t been done.” The reason I went in was because I was absolutely certain that they would be unable to cast me as the Joker simply because, public-relations-wise, the idea of the guy who played Luke Skywalker — this icon of heroism, this virtuous character — playing this icon of villainy? Comic-book fans are notoriously demanding. They’re very opinionated and not shy about letting you know how they feel. I thought it would be a PR disaster that they would not be able to withstand. It gave me a great confidence, since I didn’t think there was any shot at all of me getting the part, so I had that performance anxiety removed. Hamill would’ve made a great Two-Face, though. Clayface? Not so sure on that one. Check out the whole oral history for many more details about the canonical show.